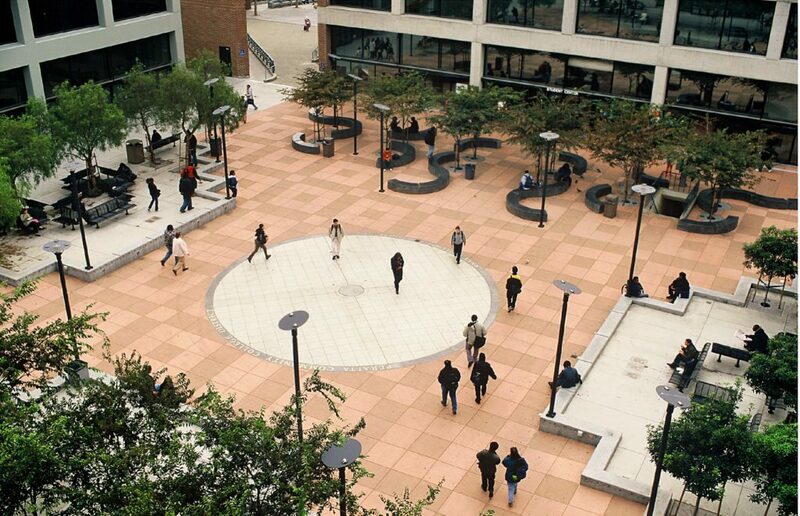 Originally modeled after a medieval village, Laney Colege’s compact campus was constructed largely on-structure in the 1960s. Hired 40 years later to redesign the central plaza and nine smaller courtyards, PGAdesign solved functional weaknesses that were interfering with social interaction and other potential benefits. 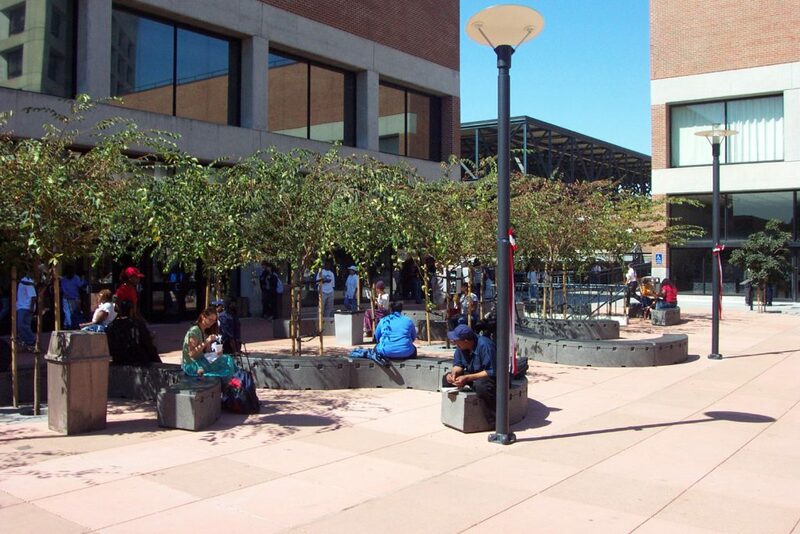 Students tended not to take advantage of a recessed panel in the plaza, for example, because it was surrounded by telephone booths, bike racks, and many other site furnishings. 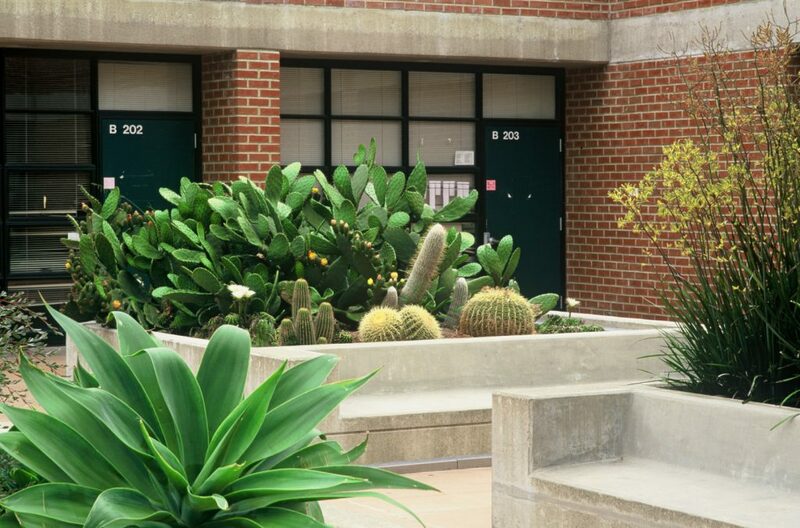 Students tried instead to study or relax at the perimeter, where they faced disruptions. 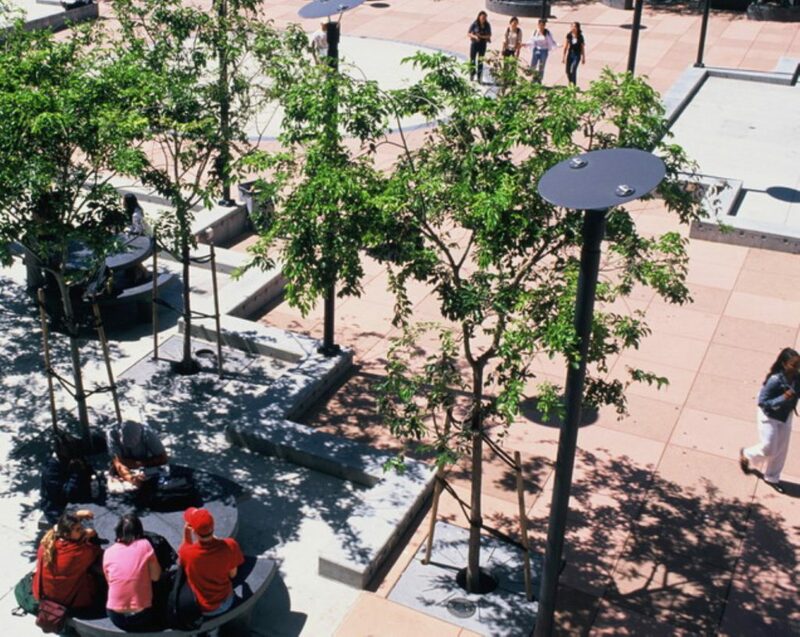 PGAdesign’s highly successful redesign invites circulation through the plaza by removing the recessed panel and creating a variety of seating areas on all four sides. 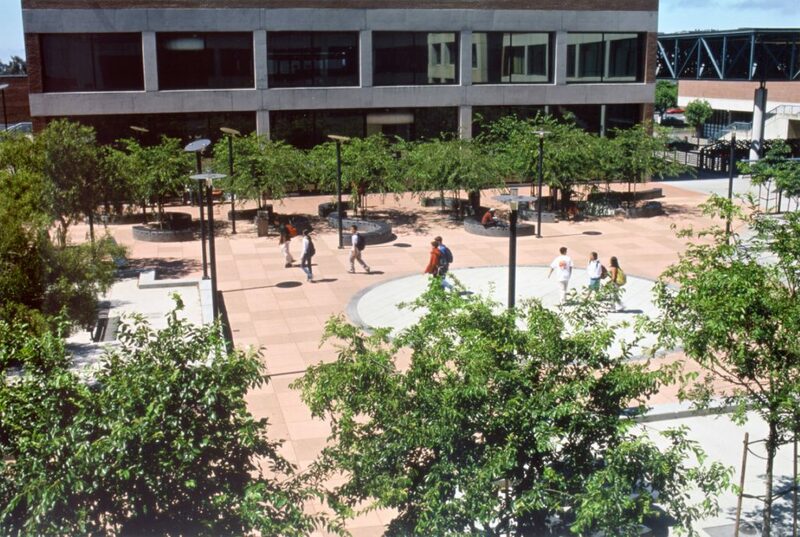 Unique shaded fore­courts now overlook the activity of the central plaza while offering quiet spaces near each building for seating, eating and studying.